Rent-a-car for a week and enjoy the freedom! Often weekly rental can cost as low as rental for 3-4 days! The longer you rent the cheaper car rental rates become. Rent a car or truck for a week and do all your errands. Even better keep your personal car at home and getter a different car for that week long vacation from Globe and rack up the mileage on our rental car, not yours! Cheap weekly car rental prices is what we are known for. We discount car rentals because we value our longer term renters and repeat customers. When stuff like errands, shopping, etc…piles up, rent a car for one week and get it all done. We have numerous clients that rent weekly once a month because that is all they need a car for. There is no way a visitor can see all that Montreal or Toronto have to offer in a few days. A week rental is optimum. With 7 days and lower rental rates, you can enjoy your trip and not rush. Globe offers direct billing to insurance companies. So if your vehicle needs repair or is involved in an accident, we will take care of you from A to Z. Often, you will get an upgrade! 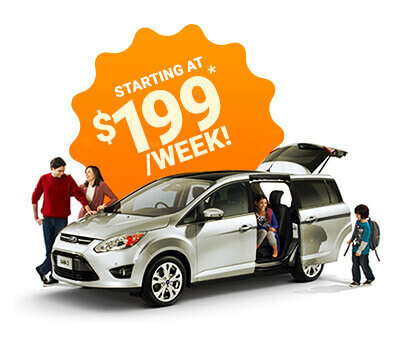 Rent a minivan for the whole family and enjoy togetherness! Or get a Jeep and hit the hills or back country.